Another drive-thru may be coming to one of the last vacant, developable properties along Frederick’s Golden Mile. The roughly 2-acre plot, known as Liza’s Property, between For Eyes and Petersen’s Carpet and Flooring along U.S. 40, is undeveloped and laden with trees. Developers with B&R Design group plan to clear most of the land and construct a nearly 5,000-square-foot commercial building, complete with a drive-thru and two access points from the main road. 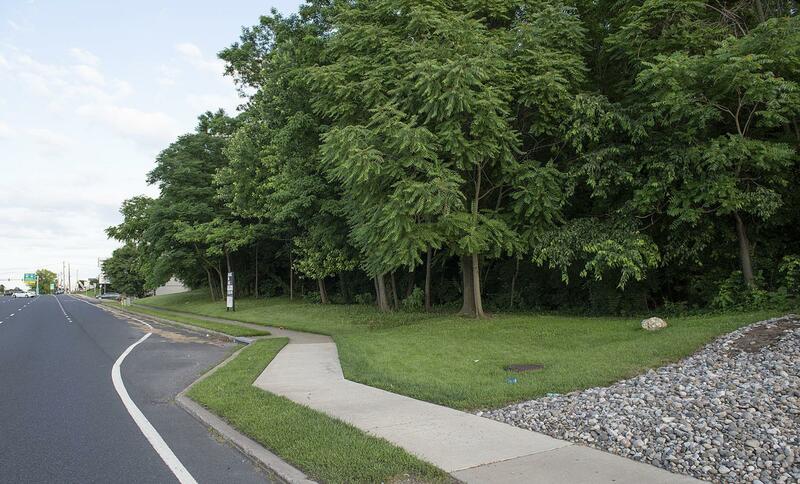 Members of the city’s Planning Commission signed off Monday on a final site plan detailing the development of the building and surrounding infrastructure, as well as a preliminary forest conservation plan mapping out the use of trees on the site. Dave Severn, a land-use attorney representing the developers, said they have not chosen a tenant yet, but a business that serves food or drinks is a likely option because the plans include a drive-thru. Severn said he is actively marketing the site to those types of businesses and expects it will take about a year to sign a deal with a tenant, finalize the site plan, prepare the site and construct the building. Deb Reynolds, co-president of the Golden Mile Alliance, said via email Tuesday that the new business sounds like a good fit for the area. Gabrielle Collard, the city’s division manager of current planning, said the property is one of the last empty lots along the Golden Mile and that the planned new business is in line with similar infill development in the area. According to the staff report, the project was also reduced in size since developers first presented plans in early 2017. The original plans were for a 9,100-square-foot, three-tenant shopping center with a drive-thru. But after planning staff members reviewed the plans and the site, they expressed concerns about the topography and access from the road, prompting the reduction in size. The final plan approved by the Planning Commission on Monday also included three staff-recommended conditions that called for some changes to traffic details, construction of a crosswalk for employees to access the drive-thru waiting parking space, and an extension of the strip of the drive-thru line to differentiate it from the main front access drive. David A. Severn has been practicing law in Frederick MD, since 1980 and focuses his practice on land use, development and real estate. He represents clients in all aspects of the zoning and land use process appearing regularly before planning commissions, boards of appeal and legislative bodies of Frederick County, Washington County and their municipalities. 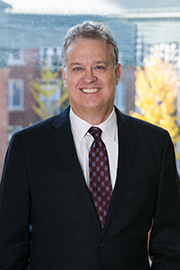 He has served as lead counsel in numerous large and complex development projects including “Carroll Creek Park” a mixed use, public-private partnership re-development project in historic downtown Frederick modeled on River Walk in San Antonio, "Frederick Crossing", the first large mixed use commercial retail/employment center in Frederick County and the redevelopment of the Frederick Towne Mall. David also works for the public sector in serving as legal counsel to the Town of Walkersville, Frederick County and Washington County Public Schools for real estate and land use matters.